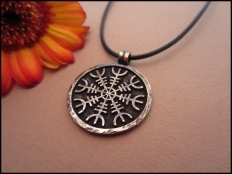 Hugin and Munin (pronounced “HOO-gin” and “MOO-nin”; Old Norse Huginn, “Thought” and Muninn, “Desire..
Aegishjalmur is an ancient protective talisman of the Norse ---but the true nature of it..
Celtic knots are perhaps the most notorious and recognizable artwork in Celtic history. 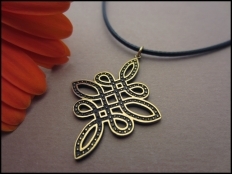 They star.. 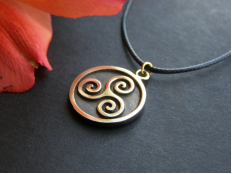 The triskelion or ”triskele” is also known as the tri-spiral or “Spiral of Life.” The three spirals .. 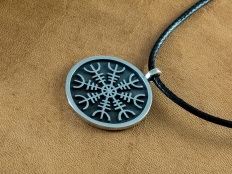 This is Ginfaxi Pendant Comes with a waxed adjustable loop style string. 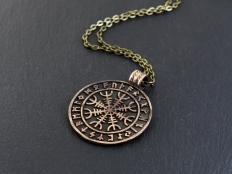 -Information- ..
2 Aegishjalmur is an ancient protective talisman of the Norse ---but the true nature of i..
What is the meaning of Valknut The number three is a very common magic symbol in ma.. 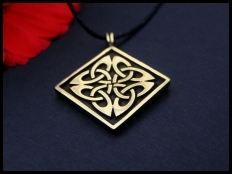 This is a celtic style love knot that symbolises neverending love. 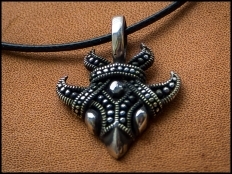 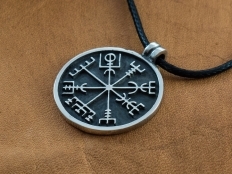 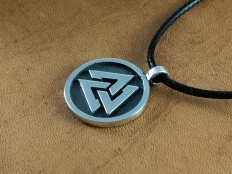 Comes with a waxed string that..
Viking Protection Pendant. 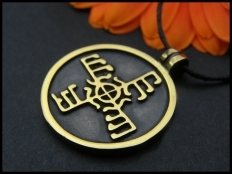 It is used as a powerful symbol of PROTECTION. 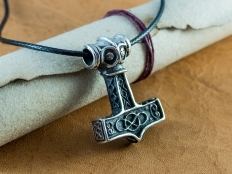 It's primary use has been .. 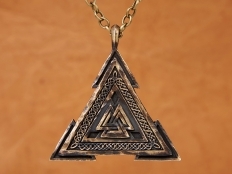 The original meaning and function of the valknut is not wholly clear. 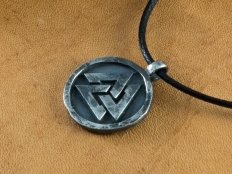 The number three is a very com..